“Which brings us to our generations’ turbulent relationship with the church. More than half of the 18-to-29 year-olds with a Christian background say they are less active in church than they were at age 15. Dropping out of church has, for our generation, become the norm. The first, and smallest, group of dropouts have left the faith entirely. You probably know someone who fits this scenario – he was a passionate Christian coming into college. Then he heard facts that challenged his paradigm and made him question his faith. Or maybe he saw some of the harmful ways Christians have sometimes addressed broken people. Either way, he came to the conclusion that his Christian faith was impossible to hold on to. For most young Christians, however, walking a way is more like going on walkabout. About 4 out of 10 twentysomething believers are not sure how important church is for their lives but are not ready to sever all ties with Christianity. This is the person who was active in church and youth group during high school but has kind of drifted away. She’s not anti-church – its just that it’s hard for her to see how its relevant to her daily life. Plus, she’s so busy doing work – good work – at her secular job, it’s difficult for her to understand where God is in all that. 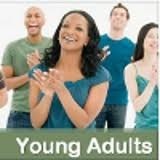 Why are we losing our youth whom many churches have heavily invested in through their youth groups and youth programs? I’ve seen youth groups and youth conferences be “Rah-rah Sessions To Win Their School For Christ”, yet never teach nor equip their youth in how to do that! What do church youth groups do for Senior High School students to prepare them for culture shock they are about to experience as college freshmen? What do they do for those who do not go to college to prepared them from going from their pristine, protective church environment into the culture of the work place with profanity, vulgarity, and in appropriate sexual and racial slurs and innuendos? Three things are very important to this young adult generation: their culture, relationships, and peer communications. Most church structures fail to train and prepare their youth to be launched into the secular culture, opting to believe that they will maintain to stay in the safe church culture that protected them. That is not happening to over half of them. At their age, they are looking for relationships, but are finding them outside the protective shell of the church, wanting to reach out and be part of their culture rather than being a Christian introvert apart from their culture. They also seek peer communication through their Smartphones, IPads, tweets, texts, emails, blogs, etc. not just to their Christian friends, but to an expanded “world” available to them. The church has also failed to nurture a true sense of community to their youth. Youth group was a place to “hang out”, “be cool”, “be accepted”, not a place that taught the values of true community, thus when a young adult is thrust out into the world, into a foreign culture from their youth experiences, they struggle for the relationships that true community has to offer. Today’s young adults dream of impacting their world, a changing world politically, economically, and socially, but are not allowed to “challenge” the church who also needs to face change, so in frustration they leave it and focus on the changes they feel they can be a part of, then fail to understand why the church isn’t by their side facing the same issues. This generation has been told that they “are the church”, but are tired of “playing” or “doing” church, while looking for the meaning of “church” in their lives, trying to redefine “church” in their culture and relevant to their generation. They are facing change and challenge, but do not see the institutional church doing either, thus questioning the church’s validity. If the church wants to “recapture” the glory of “its youth”, those young adults in their midst, they need to be willing to make changes and face those challenges. If not, more will be lost. Older PostMISSIONS: RELATIONAL OR STRUCTURAL?